Use our search service to find an organization that can help you with your needs. Simply enter the search term(s) in the box below and click the search button. If using multiple terms, please separate with commas (For example "adult day care, Alzheimer's disease, housing"). Search Parameters will allow you to narrow your search results and allow you to focus in on the organizations, products and services that more accurately meet your needs. You can select or enter any combination of the parameters below to meet your needs. Service Categories: Abuse - Neglect & Exploitation Abuse, elder Abuse, Sexual Abused Adults Abusers Addictive personality types Administration Adult Day Care Adult Day Care IIIB Adult Day Care IIIE, Elder Adult Day Care, SF HCBS <60 Adult Day Care, SF HCBS 60+ Adult Day Care, Waiver Adult Day Care/Health Adult Education Adult Family Care Home Adult Protection Services Advocacy AIDS Alcohol Abuse Programs Alcohol Abuse, Support Group Alcohol/Narcotics Anonymous ALS (Lou Gehrig Disease) Alzheimer's Disease Alzheimer's Grant Alzheimer's Support Groups Ambulance Emergency Service Ambulance Service America Red Cross Animal Adoption Animal Control Animals AoA, Self Directed Apartments Appeal Denied Applicant Tracking, CHOICES TennCare Approved Applicant Tracking, CHOICES TennCare Denied Applicant Tracking, CHOICES TennCare MD Submittal Applicant Tracking, CHOICES TennCare DHS Submittal Applicant Tracking, CHOICES TennCare PAE Submittal Applicant Tracking, Waiver Applicant Tracking, Waiver DHS Submittal Applicant Tracking, Waiver MD Submittal Applicant Tracking, Waiver PAE Submittal Applicant Tracking, Waiver TennCare Approved Applicant Tracking, Waiver TennCare Denied Approved PAE - Financial Denial Approved PAE - lack of information Approved PAE - no SSI Approved PAE - over limit assets Armed Forces Emergency Service Art Craft Center Assessments/Advocacy, Relief/Local Assistance, CREVAA Assisted Care Living Facility Assisted Living Assisted Living Facilities Assisted Living Facility Assisted Living Facility (ALF) Assisted Living Facility Per Diem, Waiver Assisted Living Facility, Monthly, Waiver Assisted Living Facility, Waiver Assisted Transportation Assisted Transportation IIIB Assistive Devices Assistive Technology, IIID Assistive Technology, Waiver Benefits Screening Bi-Lingual Service Birth Cerificates Blindness Booth/exhibit IIIE, Elder Booth/exhibit IIIE, Minor Braille Brain Injury Burial Service Care Homes Career Counseling Caregiver Adult Day Care Caregiver Case Management Caregiver Grandparent Program Caregiver Homemaker Caregiver I & A Caregiver Information Caregiver In-home Respite Caregiver Med. Equip/Supplies Caregiver Personal Care Caregiver Support Groups Caregiver Training Caregiver Training IIIE, Elder Caregiver Training IIIE, Minor Caregiver Waiting List Case Management Case Management IIIB Case Management IIIE, Elder Case Management IIIE, Minor Case Management, ARRA Case Management, Self-Directed Case Management, ADSSP Case Management, ARRC Case Management, CREVAA Case Management, MH Case Management, Non-Agency Spons. Case Management, Waiver Case Management, Waiver Initial F-F Case Management, Waiver Monthly F-F Case Management, Waiver Monthly Non F-F Case Management, Waiver Non F-F Case Management/Service Coordination, SF HCBS <60 Case Management/Service Coordination, SF HCBS 60+ Case Management/Social Worker Child Abuse Program Child Day Care IIIE, Minor Chiropractic Physician CHOICES Information & Assistance Choices Intake <60 Choices Intake 60+ CHOICES, ENROLLED CHOICES, Estate Recovery Concern Chore Chore IIIB Chore, SF HCBS <60 Chore, SF HCBS 60+ Church (local) Clothing Donations (local) Clothing Room College/University Companion Services, ADSSP Computer Class Congregate Meals Congregate Meals Non NSIP Congregate Meals NSIP Congregate Meals, ARRA C1 Congregate Meals, ARRC C1 Congregate Meals, IIIC1/NSIP Congregate Meals, IIIC1/NSIP Shelf Stable Congregate Meals, Non NSIP Congregate Meals, Sponsored/NSIP Conserv. Annual Accounting Conserv. DPoA Conserv. Person Conserv. Person & Property Conserv. Property Consumer ConsVol Admin/prof ConsVol Direct ConsVol Training Counseling Counseling, CHOICES Counseling, Other Crime Prvention Criminal/Civil Justice Support Asst, CREVAA CSBG Grant (Local) Deceased Denied PAE Dental Care Dental Services Dental Services, Closing the Gap for Seniors Dental Work, Community Foundation Developmental Challenges Developmental Disabilities Diabetes Testing Equipment Diabetes Treatment Center Dialysis Directory Publication Disability Services Disabled, Adaptive Aids Disabled, Educ./Training Disabled, Home Care Disabled, Other Disaster Relief Driving/Traffic Drug Benefit Durable Medical Equipment, CREVAA Education Education Classes (local) Education/Training Education/Training (other than health) Education/Training Class Education/Training IIIB/State Aging Elected Officials Emergency Emergency Assistance Emergency Meal Service Emergency Medical Care Emergency Room Emergency/Holiday IIIE, Elder Emergency/holiday Meals, SF HCBS <60 Emergency/holiday Meals, SF HCBS 60+ Emergency/Holiday, SF HCBS <60 Emergency/Holiday, SF HCBS <60, Other Emergency/holiday, SF HCBS 60+ Emergency/Holiday, SF HCBS 60+, Other Emotional Support or Safety Service, CREVAA Employment Employment, Disabilty Enrolled in CHOICES Enrolled in PDAP Errand Running Estate Recovery concerns Evidence Based Activity IIID <60 Evidence Based Activity IIID 60+ Exercise Classes and Groups Exercise Groups Exploitation, Elderly Eye Exams Eyebank Family Assistance Family Caregiver Training Family Couseling Family Physician Family Resource Center Family Therapy Counseling FCMT IIIC2 Meals, 60+ FCSP MEAL TOPIC Financial Assistance Financial Counseling Financial Management Fire Safety/Protection First Aid Training Food Food Card/Voucher/Cash Stipend, Relief/Local Food Stamps Food Stamps (SNAP)-(local) Food Supplements IIIE, Elder Food Supplements IIIE, Elder, Non NSIP Food/Clothing/Supplies Food/Meals (local) Furniture Furniture/Household Goods Government Government Agencies HCBS<60, Self Directed HCBS>60, Self Directed Health and Medical Services Health Care Health Education Health Education IIIB/State Aging Health Promotion Health Promotion, other Health Promotion/Wellness IIID Health Risk Assessment Health Screening Health Screening IIIB/State Aging Health Screening IIID Heart Disease Hispanic Holiday Donations Home Delivered Meals Home Delivered Meals Frozen, SF HCBS <60 Home Delivered Meals Frozen, SF HCBS 60+ Home Delivered Meals IIIC2/NSIP Home Delivered Meals IIIE, Elder Home Delivered Meals Non NSIP Home Delivered Meals NSIP Home Delivered Meals Other IIIE, Elder Home Delivered Meals Sponsored/NSIP Home Delivered Meals, Other SF HCBS 60+ Home Delivered Meals, ARRA C2 Home Delivered Meals, CSBG ARRA Home Delivered Meals, Emerg./Holiday SF HCBS <60 Home Delivered Meals, Emerg./Holiday SF HCBS 60+ Home Delivered Meals, Emerg/Hol Non-Agency Spons. Home Delivered Meals, Emergency/Holiday IIIC2/NSIP Home Delivered Meals, Emergency/Holiday IIIE Elder Home Delivered Meals, Emergency/HolidayOther IIIC2 Home Delivered Meals, MH Home Delivered Meals, MH Emerg./Holiday Home Delivered Meals, MH Liquid Supp. Home Delivered Meals, MH Other Home Delivered Meals, Non NSIP Home Delivered Meals, Non-Agency Sponsor Home Delivered Meals, Other IIIC/NSIP Home Delivered Meals, Other IIIC2/NSIP Home Delivered Meals, Other Non-Agency Sponsor Home Delivered Meals, Other SF Award Home Delivered Meals, Other SF HCBS <60 Home Delivered Meals, Other SF HCBS 60+ Home Delivered Meals, Private Pay - Cold Home Delivered Meals, Private Pay - Hot Home Delivered Meals, Relief/SF HCBS <60 Home Delivered Meals, SF Award Home Delivered Meals, SF HCBS <60 Home Delivered Meals, SF HCBS <60, Non NSIP Home Delivered Meals, SF HCBS 60+ Home Delivered Meals, SF HCBS 60+, Non NSIP Home Delivered Meals, Waiver Home Delivered Meals,Emergency/holiday IIIC2NSIP Home Health Agencies Home Health Care Private Pay Home Health Services Home Injury Control Home Modification/Repair IIIB Home Modification/Repair IIIE, Elder Home Modification/Repair IIIE, Minor Home Modification/Repair SF HCBS 60+ Home Modification/Repair, SF HCBS <60 Home Modifications, Waiver Home Modifications/Repair Home Modifications/Repairs (local) Home Repair Home Visit IIIE, Elder Homeless Homemaker Homemaker IIIB Homemaker IIIE, Elder Homemaker IIIE, Minor Homemaker Services Homemaker, local Homemaker, CREVAA Homemaker, MH Homemaker, Relief/SF HCBS <60 Homemaker, SF HCBS <60 Homemaker, SF HCBS 60+ Homemaker, Waiver Hospice Hospice Care Hospital Medical Facility Hospitals Household Equipment (local) Housing Housing Assistance Housing for Disabled Persons Housing, Low-income Housing, Low-income, Elderly Housing/Disabled Housing/Seniors I & A, AAAD Transfer I & A, Choices I & A, CHOICES (Declined Screening) Income Tax Assistance Incontinence Supplies IIIE, Elder Individual Counseling IIIE, Elder Individual Counseling IIIE, Minor Ineligible for HCBS Services Info & Referral, CREVAA Information & Assistance Information & Assistance IIIB/SF HCBS 60+ Information & Assistance IIIE, Elder Information & Assistance IIIE, Minor Information & Assistance, Relief/IIIB Information & Assistance, Other Resources Information & Assistance, SF HCBS <60 Information & Assistance, SF HCBS 60+ Information & Assistance, Waiver Information and Assistance Information and Assistance - Senior Centers Information and Referral Information IIIE, Elder Information/Referral & Assistance, SF HCBS 60+ In-Home Adult Care In-home Adult Care IIIE, Elder In-Home Assessment, ADSSP In-home Assessment, CHOICES In-home Child Care IIIE, Minor In-Home Respite In-Home Respite, Waiver Initial Enrollment, Waiver In-Kind Contribution In-Patient Respite, Waiver Institutional Respite Institutional Respite IIIE, Elder Institutional Respite, Waiver Insurance Insurance Information Intake, Waiver Interpreting/Translating Job Access Job Training Language Translation Legal Aid (local) Legal Assistance Legal Assistance IIIB Legal Assistance, Disaster Legal Assistance, Relief/IIIB Leisure Library Liquid/Health Supplements (Local) Long Term Care Facilities Long-term Care Assessment 18-59 Long-term Care Assessment 60+ Long-Term Care Screening Long-term Care Screening 18-59 Long-term Care Screening 60+ Long-term Care Screening, CHOICES Long-term Care Screening, SF HCBS <60 Long-term Care Screening, SF HCBS 60+ LTC Screening - for deleting LTC Screening, Choices Material Aid Material Aid/Resources Material Aid/Resources IIIB Material Aid/Resources, Relief/Local Medical Assistance Service Medical Centers (local) Medical Equip./Supplies Medical Equip./Supplies, SF HCBS <60 Medical Equip./Supplies, SF HCBS 60+ Medical Equip.Supplies, Relief/IIIB Medical Equipment Medical Equipment & Supplies IIIE, Elder Medical Equipment & Supplies IIIE, Elder - Bed Pad Medical Equipment & Supplies IIIE, Elder - Pull Up Medical Equipment & Supplies IIIE, Minor Medical Equipment/Supples (local) Medical Equipment/Supplies Medical Loan Closet Medicare Education IIID Medicare Programs (local) Medication Medication Assistance Medication Management Medication Management Screening & Education IIID Medication, CREVAA Memory Disorder Mental Health Counseling Mental Health Supportive Living Facilities Mental Health, Info/Education Mental Health, Other Mental Illness Migrants Minor Home Mods Museums Not interested Other Nursing Home Nursing Homes Nutrition Counseling Nutrition Education Nutrition Education IIIC Nutrition Outreach Nutrition Outreach IIIC Nutrition Referral Nutrition Screening Nutrition Screening IIIC OLD Adult Day Care/Health OLD Case Management oldTitle III - Waiting List - C2 oldTitle III - Waiting List - Chore oldTitle III - Waiting List - Homemaker Ombudsman Program of South Central Options - Home Delivered Meals - Regular USDA Options - Home Delivered Meals - Special USDA Options - Home Delivered Meals-Regular NON-USDA Options - Home Delivered Meals-Special NON-USDA Options - Homemaker 18-59 Options - Homemaker 60+ Options - Personal Care 18-59 Options - Personal Care 60+ Options - Service Coordination 18-59 Options - Service Coordination 60+ Options - Waiting List Options I&A Age Group <60 Options I&A Age Group 60+ Options Program providers Organ Bank/Donations Other Outreach Outreach IIIB Outreach IIIE, Elder Outreach SF HCBS <60 Outreach SF HCBS 60+ Oxygen PDAP Pediatric Clinic PERS Installation PERS Monthly Fee Personal Care Personal Care Assistant Personal Care Assistant, Waiver Personal Care Assistant/Attendant, Waiver Personal Care Attendant/Assistant Personal Care IIIB Personal Care IIIE, Elder Personal Care IIIE, Minor Personal Care, CREVAA Personal Care, MH Personal Care, Relief/Waiver Personal Care, SF HCBS <60 Personal Care, SF HCBS 60+ Personal Care, Waiver Personal Care/Local Personal Emer. Response IIIB, Installation Personal Emer. Response IIIB, Monthly Fee Personal Emer. Response IIIE Elder, Installation Personal Emer. Response IIIE Elder, Monthly Fee Personal Emer. Response SF HCBS <60, Installation Personal Emer. Response SF HCBS <60, Monthly Fee Personal Emer. Response SF HCBS 60+, Installation Personal Emer. Response SF HCBS 60+, Monthly Fee Personal Emer. Response Waiver, Installation Personal Emer. Response Waiver, Monthly Fee Personal Emergecy Response Systems Personal Emergency Respones Svc.Daily-IIIE Elder Personal Emergency Response Systems Personal Support or Safety Services, CREVAA Pest Control Pest Control (local) Pest Control IIIB Pest Control IIIE, Elder Pest Control SF HCBS <60 Pest Control Waiver, Initial Pest Control, Closing the Gap for Seniors Pest Control, SF HCBS < 60 Pest Control, SF HCBS 60+ Pest Control, Waiver Physical Fitness Physical Fitness/Excercise Physical Fitness/Exercise iii Physical Fitness/Exercise IIIB/IIID/State Aging Physical Fitness/Exercise IIIB/State Aging Physical Therapy Portable Oxygen Pre-enrollment Assessment, SF HCBS <60 Pre-enrollment Assessment, SF HCBS 60+ Prescription Assistance Presentation to public IIIE, Elder Presentation to public IIIE, Minor Print Media Print Media IIIE, Elder Print Media IIIE, Minor Private independent apartments Property Tax Services Protective Service Radio Show IIIE, Elder Radio Show IIIE, Minor Recreation Recreation IIIB/State Aging Recreation Structured Recreation, Facility Referred to HCB waitlist program Rehab Rehabilitation Rental Assistance Resource Information Resource Information(not mapped to NAPIS) Resource Information, IIIB Respite Respite Care Respite Care Voucher Retired Senior Volunteers Rosalyn Carter Grant - Caregiver Safety Services Scheduling & Review, Choices Second Harvest Senior Center Senior Centers Senior Companion Senior Employment Services for Disabled Sexual Abuse Shelter/Housing, CREVAA SHIP Assessment SHIP Call SHIP Contact SHIP E-mail SHIP Face-Face at Client's Home or Facility SHIP Face-Face at Counseling Location Event Site SHIP Information & Assistance SHIP Phone Call SHIP Postal Mail or Fax Shopping Assistance Shopping Assistance/Errands Shopping Assistance/Errands IIIB/State Aging SNAP Outreach, Application Assistance SNAP Outreach, Application Follow-up SNAP Outreach, Event SNAP Outreach, Event Screening SNAP Outreach, Information Contact SNAP Outreach, In-Home Screening SNAP Outreach, Mailout SNAP Outreach, Material Distribution SNAP Outreach, Phone Screening SNAP Outreach, Presentation SNAP, Application Assistance SNAP, Event Screening SNAP, In-Home Screening SNAP, Outreach Activity Two-Generational SNAP, Outreach Event 60+ SNAP, Outreach Material SNAP, Phone Screening SNAP, Presentation Soup Kitchen Speech Therapy Stroke Hotline Subsidized high-rises Subsidized low-rises Supplies Support Groups Support Groups IIIE, Elder Support Groups IIIE, Minor Tansportation, local money Tax Tax Prep. Assistance Tax Service TDD Access TDD Relay TDD/TDDY Telephone Reassurance Telephone Reassurance IIIB/State Telephone Reassurance IIIE, Elders Telephone Support, MSC TennCare Therapy & Counseling, CREVAA Thrift Shop Title III - Home Delivered Meals - NON USDA Title III - Home Delivered Meals-Regular USDA Title III - Home Delivered Meals-Special USDA Title III - Homemaker Title III - Personal Care Title III - Waiting List - C1 Title VII Benefits Assistance Title VII Elder Abuse Title VII Ombudsman Too functional /Signed Off Training Transportation Transportation (local) Transportation IIIB/IIIC Transportation IIIB/Medical Transportation IIIE, Elder Transportation, Closing the Gap Transportation, CREVAA Transportation, Special Travelers TV/Cable Show IIIE, Elder TV/Cable Show IIIE, Minor Undefined United Way (local) Utility Assistance VDHCBS <60, Self Directed VDHCBS 60+, Self Directed Vehicle Donation Veterans Victims' Assistance Vision Care Vision, Closing the Gap Visiting Visiting IIIB/State Aging Visually Impaired Volunteer Placement Volunteers Volunteers, Nutrition Volunteers, Nutrition (not mapped to NAPIS) Volunteers, Senior Centers Volunteers, Senior Centers +60 Volunteers, Senior Centers <60 Wait List Annual Update HCBS <60 Wait List Annual Update HCBS 60+ Wait list Annual Update, Elder IIIE Waiting List - C1 Waiting List, AoA HCBS Services Waiting List, SF HCBS <60 Waiting List, SF HCBS Services Waiting Lists IIIE, Elder Waiting Lists IIIE, Minor Waiting, Assessed AoA/SF HCBS 60+ Waiting, Assessed SF HCBS <60 Waiting, Choices Waiting, Choices (APS) Waiting, FCG Waiting, FCG (APS) Waiting, IIIB HDM Waiting, IIIB HDM (APS) Waiting, IIIB HMK Waiting, IIIB HMK (APS) Waiting, Options <60 Waiting, Options <60 (APS) Waiting, Options 60+ Waiting, Options 60+ (APS) Waiting, Screened AoA/SF HCBS 60+ Waiting, Screened FCSP IIIE Waiting, Screened SF HCBS <60 Waiver Case Management Waiver Waiting List Walking Wants to hire family Wayne County Health Department Weathization Web-site Event IIIE, Elder Web-site Event IIIE, Minor Selecting a service category will return only those organizations that offer products and services for your selected service category, helping you narrow your relevant search results. Enter your Zip code: To find an organization close to a specific zip code, enter the zip code, and the distance in miles you would like to search. For example, you can enter 5, 10, 20... The search results will show organizations and the distance from the zip code you entered. 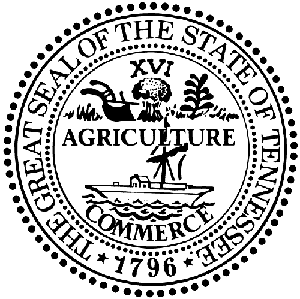 Location: Anderson Bedford Benton Bledsoe Blount Bradley Campbell Cannon Carroll Carter Cheatham Chester Claiborne Clay Cocke Coffee Crockett Cumberland Davidson Decatur Dekalb Dickson Dyer Fayette Fentress Franklin Gibson Giles Grainger Greene Grundy Hamblen Hamilton Hancock Hardeman Hardin Hawkins Haywood Henderson Henry Hickman Houston Humphreys Jackson Jefferson Johnson Knox Lake Lauderdale Lawrence Lewis Lincoln Loudon Macon Madison Marion Marshall Maury Mcminn Mcnairy Meigs Monroe Montgomery Moore Morgan Obion Overton Perry Pickett Polk Putnam Rhea Roane Robertson Rutherford Scott Sequatchie Sevier Shelby Smith Stewart Sullivan Sumner Tipton Trousdale Unicoi Union Van Buren Warren Washington Wayne Weakley White Williamson Wilson To search for results within a specific county or location, please select the county or counties (Ctrl + Click to select multiples), and then click Search below. To search the entire state, leave all the counties highlighted, and click Search below.